For in-store inquiries, use sku #2590252. A.L.C. 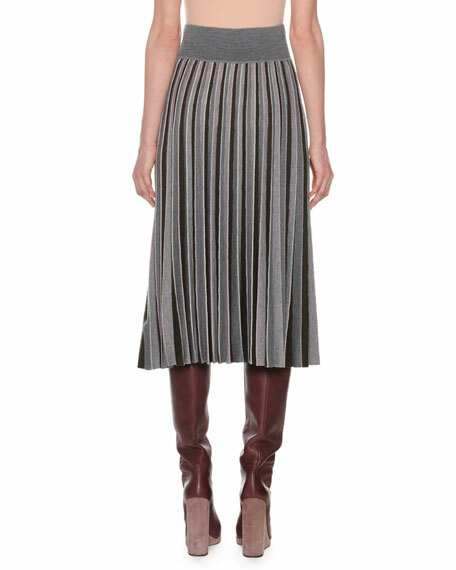 "Eleanor" skirt with metallic finish. High-rise waistband; self-tie detail. A-line silhouette. High-low hem. Midi length. Polyester. Hand wash. Imported. 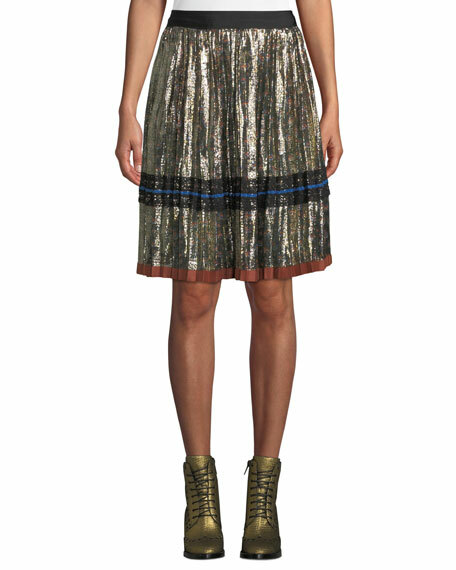 Coach daisy-print pleated skirt with metallic finish. A-line silhouette. Side slip pockets. Midi length. Zip closure. Silk/metallic. Polyester lining. Dry clean. Imported. 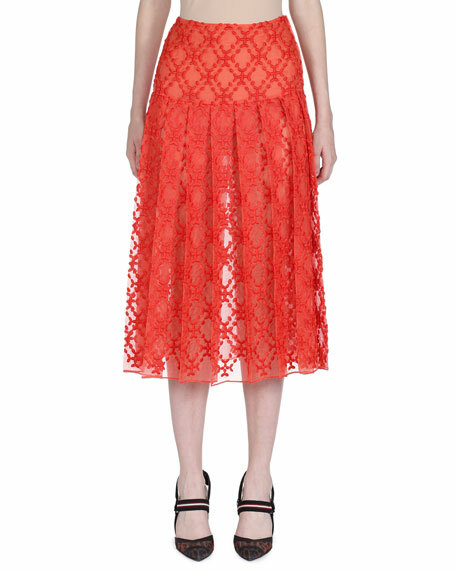 Fendi skirt in semi-sheer, geometric-embroidered organza lace. Yoked waist sits natural at waistline. 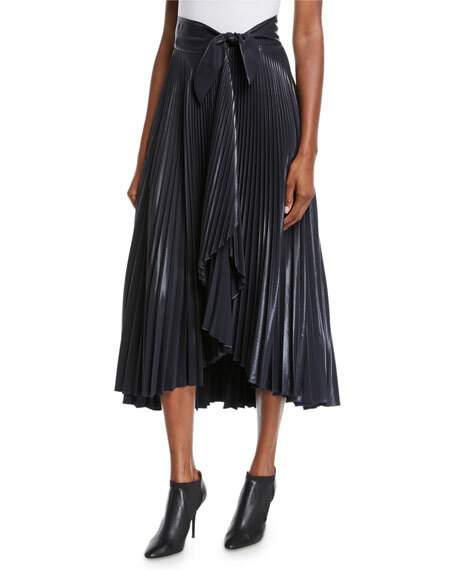 Pleated A-line silhouette. Midi length. Back zip. Silk. Embroidery, polyester. Lining, silk. Made in Italy. 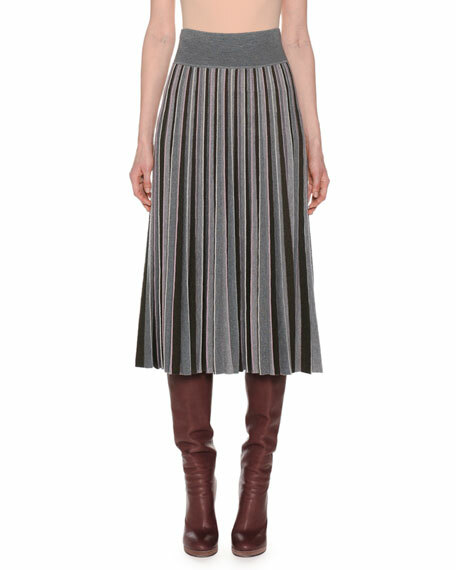 Fendi skirt in mohair-blend with perforated detail for netted appearance. High rise. 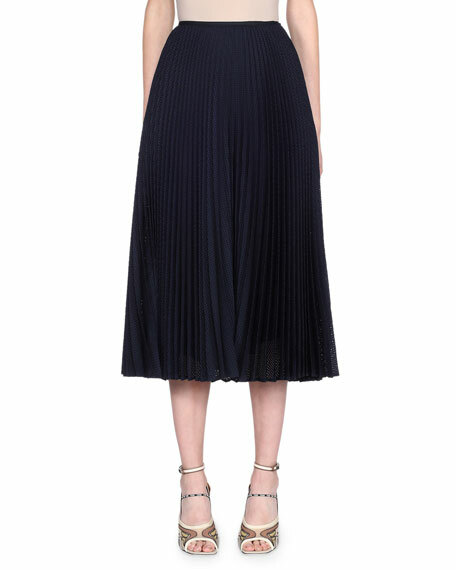 Pleated A-line silhouette. Midi length. Back zip. Mohair/wool. Lining, silk. Made in Italy.